1) Ar. a pale gu. surmounted by a saltire az. Crest—A talbot pass. or. 2) Sa. five leopards’ faces in cross ar. There are three origin theories about the Stout last name. First, it may have developed as a nickname referring to a brave or largely built man, from the Middle English word stout, meaning steadfast, ultimately from the Olde French estout, meaning bold or stout. Oddly, the Old Norse name Stutr, means gnat, denoting a person of small and insignificant person. Second, it may be a habitational name denoting a person who was from any of several minor places in Britain (ex. places in Devon) named Stout, from the Old English word stut, meaning hillock. In As such, the name may be Anglo-Saxon, Anglo-Scandinavian, Anglo-French, and may even have Germanic Teutonic or Dutch roots going far enough back (Dutch stout means bold, German stolz means proud, Staudte was a German personal name in medieval times). Third, in Worcestershire, it may have developed from the Old English word stow, meaning a holy place, and hence is a topographic name for a person who lived near a church or monastery. Spelling variations or names with similar etymologies include: Stoute, Stought, Staught, and Stoutt. The name is somewhat rare in England but is still prevalent in the United States. Samuel Lewis’ book titled A Topographical Dictionary of England, states the following in regard to this name: “The church [of Bedingham] consists of a nave, chancel, and aisles, with a chapel at the east end of each aisle, and a circular tower the upper part of which is octagonal; the font is curiously sculptured, and in the chancel are some handsome monuments to the Stow family”. Adam Stout was listed in the Court Rolls of the Borough of Colchester in 1373 AD. Henry ate Stoute is documented in Yarcombe, Devon in 1330 AD. The Poll Tax Rolls of Yorkshire in 1379 AD also list two bearers: Willelmus Stoute and Johannes Stoute. The last name Stout ranks 730th popularity in the United Status as of the 2000 Census. The name ranks particularly high in the following four states: Indiana (223rd), Oklahoma (268th), West Virginia (294th), and Kansas (309th). The surname Stout frequency/commonness ranks as follows in the British Isles: England (3,328th), Scotland (1,670th), Wales (5,921st), Ireland (3,216th) and Northern Ireland (5,985th). In England, it ranks highest in county Durham. In Scotland, the surname ranks highest in Orkney and Shetland. In Ireland, it ranks highest in Munster. In Wales, it ranks highest in Glamorgan. The name is also present throughout the remainder English speaking world: Canada (5,721st), New Zealand (4,083rd), Australia (5,850th), and South Africa (11,257th). 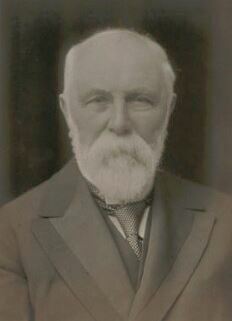 Honorable Sir Robert Stout of Bankton, Dunedin, Otago, New Zealand was born in 1844 in Lerwick, Shetland Isles in 1844. In 1876, he married Anna Paterson, daughter of John Logan Esquire of Dunedin and Justice of the Peace, and had four children as follows: 1) John Logan (1879), 2) Robert (1883), 3) Thomas Duncan Macgregor (1885), and 4) Margaret Annie (1878). He went to New Zealand in 1863 and was appointed second master in Dunedin Grammar School. He later became a student at Otago University and fellow of New Zealand University. He was elected to the General Assembly of 1875 for Caversham and in 1876 for Dunedin. He also served as Attorney General and Minister for Immigration. This family is of Danish or Danish descent and the resided in the southern part of the Shetland Islands for hundreds of years. 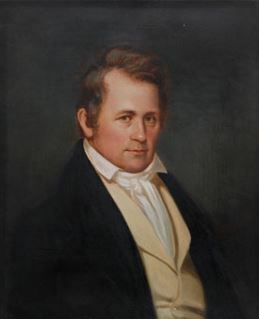 Robert Stout, a builder, held property in Shetland. 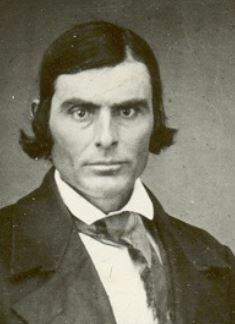 He married Grace Williamson and had a son with her named Thomas. Thomas Stout of Lerwick, Shetland, married Margaret Smith, a woman of Celtic origin, and had the following issue with her: Sir Robert (discussed above), George Smith, Thomas (married in 1884, had two children), and Janet (married John Macgregor Esq., had a son named Thomas born in 1879). He had two more issue with his second wife: William Anderson (married in 1887 and had a daughter) and John Bannatyne. 1) John Stout was born in New Jersey in 1646. He married Anna and had a son with her named Benjamin who was born in 1691. Benjamin married Hannah and had a son named also named Benjamin born in 1725. This Benjamin in turn had a son named Hezekiah. 2) John Stout was born in Gravesend, Long Island, New Netherlands (New York) in 1645. He married Elizabeth, daughter of John Crawford, gentleman, and had the following children with her: Richard, Faith Deliverance, Hopestill, John, Jean, Penelope, and Frances. 6) Jonathan Stout was born in Gravesend, New Netherlands in 1660. He married Anna, daughter of Captain James Bollen and Anne Vauquellen, and was the father of the following children: William, Frances, Colonel Joseph, Sarah, Benjamin, Freegift, Richard, James Sr., Hannah, Tombrook, Zebulon, Anne, Hannah, Samuel Esq., Catherine, Anne, Dr. Jonathan, Deliverance, David, Andrew Samuel, Jean, Penelope, and Rebecca. 7) David Stout was born in Middletown, New Jersey in 1667. He married Rebecca, daughter of James Ashton, and had the following issue with her: Abner, Rebecca, Freegift, James, David, Benjamin, Penelope, William, and Martha. 8) Benjamin Stout was born in in Gravesend, New Netherlands in 1669. He married Mary Leonard and Agnietie du Trieux, and had five children as follows: Benjamin, Agnus, Jacob, Charles, and Joseph. 10) William Bushnell Stout (1880-1956) was a pioneering engineer and inventor who was an executive at the Ford Motor Company, known for his innovations in the automotive and aviation fields, born in Quincy, Illinois.